We are pleased to offer working parents an Extended Day option of Early Start of 08:30 rather than 09:30 and /or Late Finish of up to 17:45 rather 16:30. This has to be booked at least a week in advance to ensure we maintain our Staff : Child ratios, but if the whole week is not required you can just book single morning or afternon extended day sessions. Pied Piper Activities Limited is a registered childcare provider and by booking your child(ren) on to a Pied Piper camp you could be eligible to receive working Families Tax Credit. 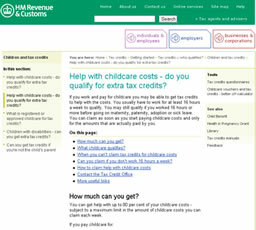 Credits of up to 80% of childcare costs up to a maximum of £175.00 for one child and £300.00 for two or more children. Pied Piper is registered as a childcare provider with OFSTED and our OFSTED registration numbers can be found on each of the site pages. as well as Allsave, Fideliti, Apple Childcare Vouchers, RG Childcare, My Family Care Vouchers Ltd, KiddiVouchers and Rascals and can easily register with any other operators. We are also registered to take the new Tax Free Childcare Vouchers (TFC) - please contact us if youw would like to pay this way. The booking is made via the online booking system selecting 'Childcare Vouchers' as the payment option. The Childcare Voucher payment will then have to be made separately using the Childcare Vouchers Operator's systems.